Entity Tags: Celtic F.C., Fussball-Club Gelsenkirchen-Schalke 04, Real Madrid Club de FÃºtbol, Tottenham Hotspur F.C., Valencia, FC Barcelona, Newcastle United F.C., Bayern Munich, Arsenal F.C., Milan, Roma, Manchester City F.C., Everton F.C., Manchester United F.C., Chelsea F.C., Internazionale, Deloitte, Lazio, Juventus, Olympique Lyonnais, Liverpool F.C. The Swiss club FC Sion, which has been prohibited by the game’s ruling bodies from signing new players (see June 1, 2010), buys no new players during the winter transfer window. The only change the club makes during this period is that the player Didier Crettenand is given a new contract. [Swiss Football League, 2011] However, the club will buy players during the next transfer window, breaching the transfer ban (see Summer 2011). FC Sion win the Swiss Cup, beating Neuchatel Xamax 2-0 in the final. The result means that Sion qualify for next year’s edition of the Europa League. [UEFA, 5/29/2011] Sion are currently operating under a transfer ban imposed due to a rule breach (see April 16, 2009). 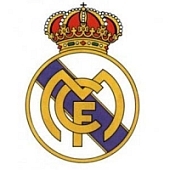 As a result they were unable to sign new players during the winter break of this season (see January 2011). The Swiss club FC Sion signs several new players, despite an apparent transfer ban. The new players are Guilherme Afonso (from Lugano), Pascal Feindouno (Monaco), Gabriel Garcia De La Torre (aka “Gabri,” Umm-Salal), Stefan Glarner (Thun), José Gonçalves (St. Gallen), Billy Ketkeophomphone (Strasbourg), and Mario Mutsch (Metz). [Swiss Football League, 2011] The transfer ban was to last for two transfer windows (see April 16, 2009 and June 1, 2010). Sion signed several players the previous summer (see Summer 2010), but nobody arrived during the winter transfer window (see January 2011). The appeal tribunal of the Swiss Football League rejects an appeal by FC Sion and six of its players against a decision of the league’s qualification committee, which refused to register the six (see July 15, 2011). The appeal tribunal finds that the qualification committee correctly decided to reject the applications to register the players because Sion was under a transfer ban. [Swiss Football League, 7/29/2011] Sion will apply for a court order allowing the six to play, and will initially be successful (see August 3, 2011). The Civil Court of Martigny and St. Maurice orders FIFA, the FIFA subsidiary Transfer Matching System GmbH, and the Swiss Football League to allow six FC Sion players to play with immediate effect. The players were signed during a transfer ban (see Summer 2011), so FIFA claims they cannot be fielded, and the Swiss Football League had ruled to this effect (see July 15, 2011 and July 29, 2011). However, the league’s rulings are now overturned. [FIFA, 11/18/2011] Two days later, the Swiss Football League issues a statement saying that the players can be used until a further court ruling. [Swiss Football League, 8/5/2011] The same judge will later affirm his ruling (see September 27, 2011), but it will be overturned by a higher court (see November 16, 2011). The Swiss club FC Sion defeats the Scottish team Celtic to win a place in the group stages of the Europa League. The first game of the two-legged playoff tie finished 0-0 in Glasgow, but the Swiss win the return leg 3-1. [Press Association (London), 8/26/2011] UEFA will overturn the result as Sion fielded a number of ineligible players (see September 2, 2011), leading to a drawn-out legal dispute. A judge with the Swiss civil court of Martigny and St. Maurice reaffirms a ruling he issued the previous month in the dispute between FC Sion and the football authorities (see August 3, 2011). The decision ordered that Sion be allowed to field six players whose eligibility was disputed. [FIFA, 11/18/2011] However, a higher court will later overturn the ruling (see December 23, 2011). The Swiss Football League rejects appeals against the results of matches in which players signed by FC Sion during the summer transfer window played. The club was apparently operating under a transfer ban when it signed the players (see Summer 2011). The league’s disciplinary committee rejects appeals by Sion against the results of two games with BSC Young Boys on July 23 and December 4. Sion played these games without its six disputed signings. The protest is rejected because at the time of the first game none of the players was validly registered, and they were not allowed to play in the second game following a Swiss court decision adverse to Sion (see November 16, 2011). Protests by other Swiss clubs against the results of matches in which the six disputed players were involved are also rejected. A protest by Grasshopper Club of Zurich is dismsised for formal reasons. Protests by FC Lausanne-Sports, FC Thun, FC Basel, and FC Lucerne are dismissed because at the time of the games between FC Sion and these clubs the Swiss league was allowing the six to play because of orders from Swiss courts (see August 3, 2011 and September 27, 2011). These decisions can be appealed to the Court of Arbitration for Sport. [Swiss Football League, 12/12/2011] The committee will issue a similar ruling concerning another FC Sion match soon after (see December 23, 2011).